I don’t even remember how it started. It must have been a few years ago when my man and I welcomed a new tradition: coffee dates. Whenever we find time to take an hour off work, we squeeze in a dark Italian espresso or a creamy cappuccino, happily enjoyed in one of the countless cafés in our area. And on Saturdays – overly excited by the luxury of having plenty of free time – we often stretch it into a lunch-teatime-aperitif date. Just the two of us, chatting about whatever’s on our mind, no plans or duties, just lingering until we decide to move on. On one of these dates, we went to the new Shakespeare and Sons / Fine Bagels. The book shop and bakery used to be close to where we live, but the two owners, Roman and Laurel, had to transfer their cafe and literature business to a new location. That was the first time I tried Laurel’s absolutely outstanding chocolate rugelach, which blew my mind and made me want (or rather have to) meet the woman behind this treat. When we met, our chat led to a Meet In Your Kitchen feature (including my beloved rugelach recipe), but most importantly, I found a woman who’s a great inspiration. Laurel loves food, she’s obsessed with baking, she’s gifted with an unbelievable amount of energy, and when you talk to her, you can see her beautiful soul. She’s honest, critical, and crazy enough to overcome her fears and jump into the next adventure. 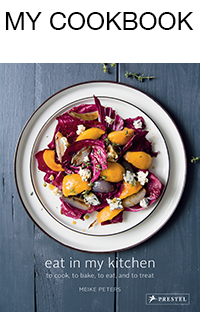 Nosh Berlin is her new baby, a Jewish food week, starting March 17th. It’ll be a week packed with talks, feasts, and Jewish food. 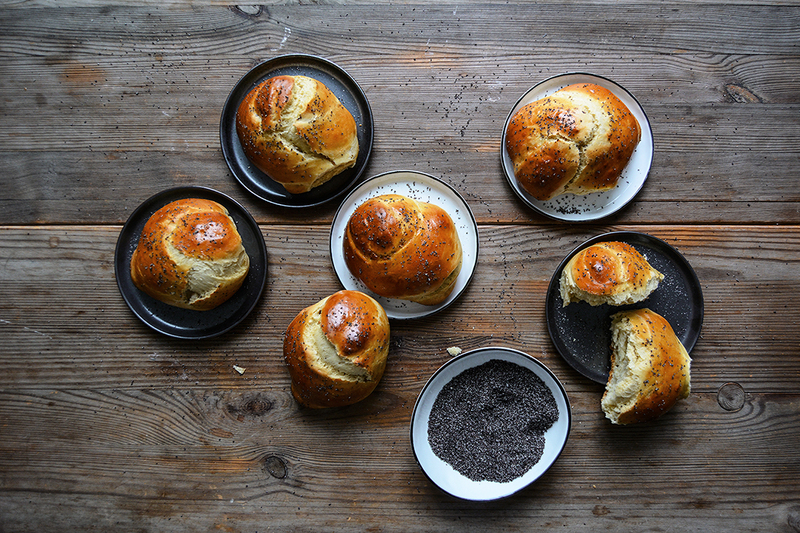 I already booked my tickets for two events, Molly Yeh is coming on the 22nd and I didn’t dare to miss The Gefilte Ball on Thursday. You can find the program of all the events below or on the Nosh Berlin website. 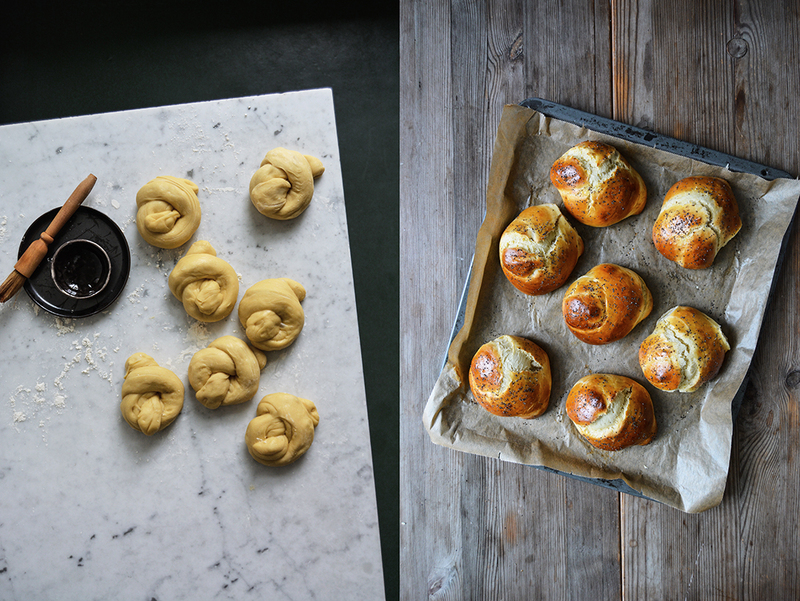 When I met Laurel for a coffee a couple weeks ago to hear everything about her exciting events, I nibbled on my obligatory rugelach and she chose a new creation, her current obsession: a marzipan-ribboned challah knot. She looked so happy whenever she took a bite of her yeast bun that I thought, I need this recipe. Laurel is a nice person who loves to share, I didn’t even need to beg her. 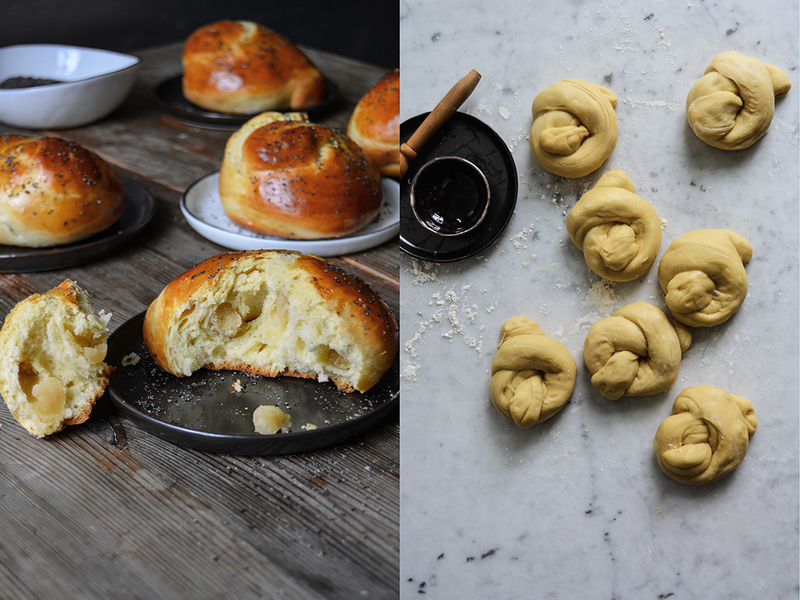 And here it is, fluffy yeast buns, not too sweet, generously filled with marzipan, and so good, that I ate five of them in a day and a half. Laurel only uses egg yolks, melted butter, and water in this recipe. 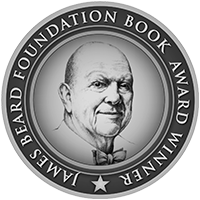 She uses bread flour, however I replaced it with white spelt flour that comes to use in all of my baking recipes. I had to add a little more flour and I think that a bit more wouldn’t have harmed the texture, but helped the knots to keep their shape a bit better and avoided cracks on the surface. 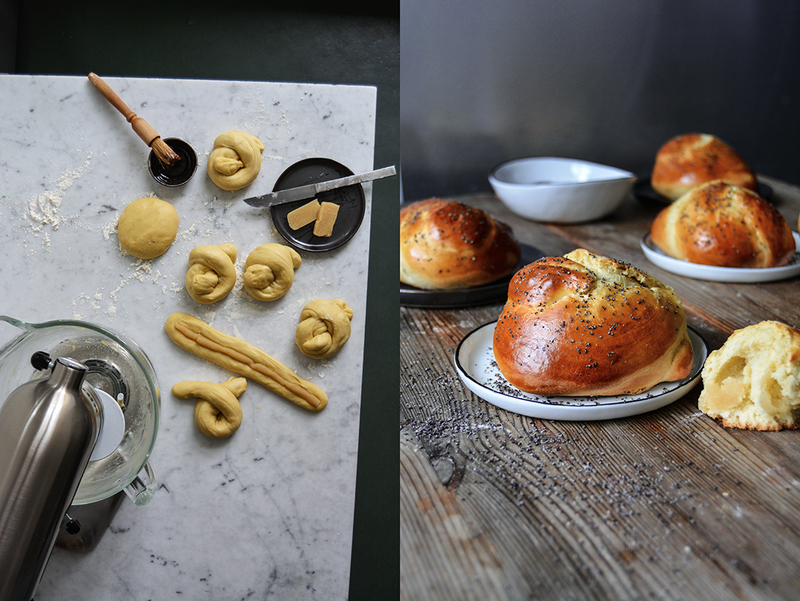 As you can see in the pictures, my knots turned into roundish buns in the oven. 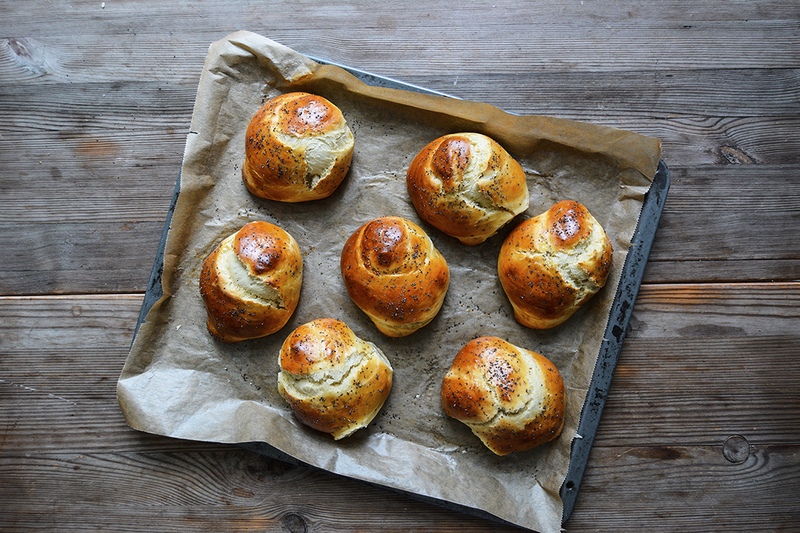 I didn’t mind, challah knot or bun, I love Laurel’s latest creation. – Tuesday, March 21st – What Jew Wanna Eat? Amy Kritzer, visiting chef from Austin, Texas, presents creative Passover cooking. 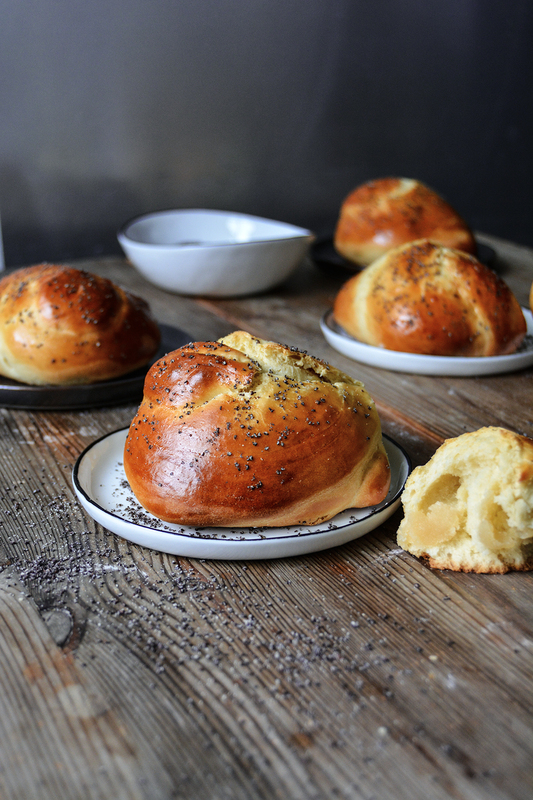 – Thursday, March 23rd – Nosh Berlin and Shtetl Neukölln present The Gefilte Ball. Talk and demo with Jeffrey Yoskowitz of The Gefilte Manifesto followed by a klezmer ball. There will also be a couple talks on various Jewish food topics at the Fraenkelufer Synagogue and a showing of Cafe Nagler with a presentation on pre-war Jewish cafe and restaurant life. 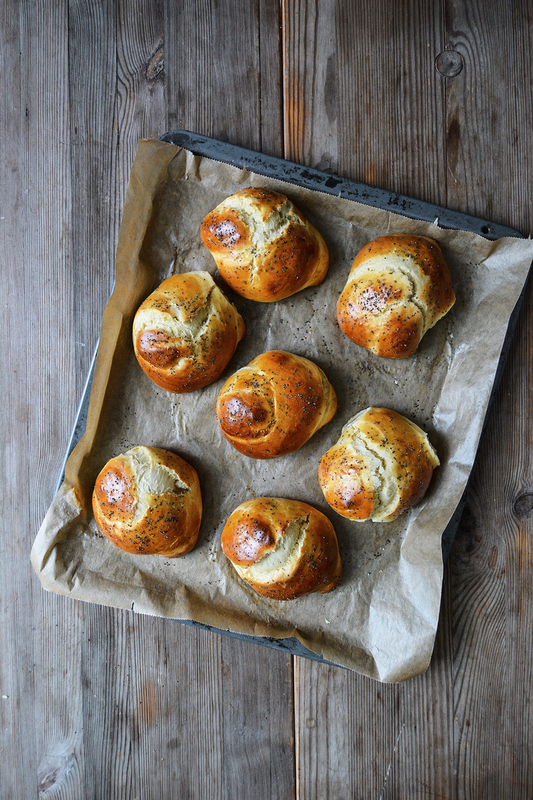 Additionally, there are Jewish cookery classes all week at Goldhahn and Sampson in Charlottenburg. If you decide to double the recipe, use only 9 egg yolks, which is Laurel’s original recipe. In a medium bowl, whisk the egg yolks and butter. Add water and whisk until well combined. In the large bowl of a stand mixer, whisk together the flour (410g / 3 cups plus 2 tablespoons), sugar, yeast, and salt. Add the liquid mixture and, using the paddle attachment, mix for about 1 minute until combined. Replace the paddle attachment with the dough hook and knead for about 10 minutes. I use setting ‘4’ on my KitchenAid. Add more flour if the dough is too sticky, but mind that it should stay soft. If you prepare the dough by hand, keep kneading an extra few minutes. Transfer to a clean, oiled bowl, cover with a kitchen towel and let rise in a warm place, or preferably in a 35°C / 100°F warm oven (conventional setting), for about 60-70 minutes or until spongy. When you poke the dough, the indentation of your finger shouldn’t spring back. Punch the dough down and then turn out onto a floured work surface. 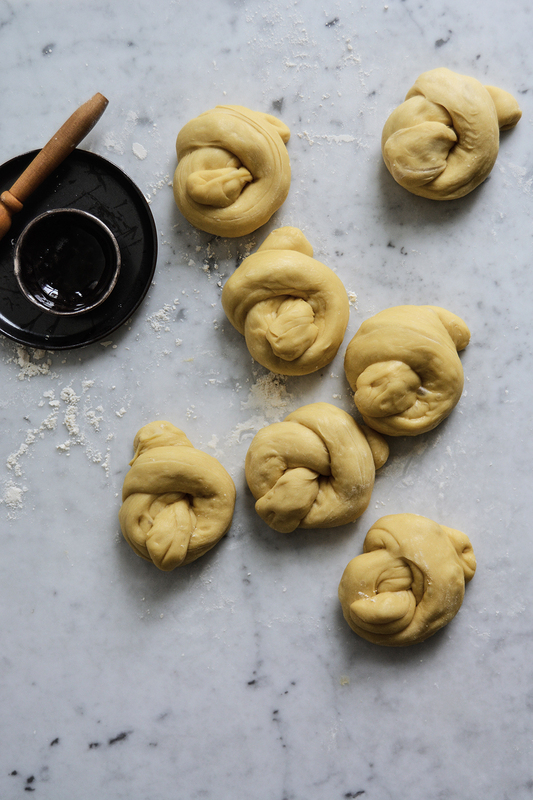 Give it a quick knead to form it back into a ball and then cut 7 equal pieces. Cover with a tea towel and let rest for about 15 minutes. Once rested, roll the dough into logs (about 25cm / 10″ long) and then gently press flat. Lay a strip of marzipan lengthwise down the middle of the flattened log (using my hands, I first rolled each piece of marzipan into a long log) and then fold the log lengthwise in half, so you have a marzipan-filled log (see first picture). To fold the log into a knot, make an overlapping circle and then wrap the upper end under and then up through the middle (see first picture). Preheat the oven to 175°C / 350°F (convection setting). Once all 7 knots are folded, transfer to the lined baking sheet and brush with the beaten egg white. Laurel puts a little simple syrup in the egg glaze to add some extra sweetness, I left mine plain. Let them rise for about 30 minutes or until puffy. 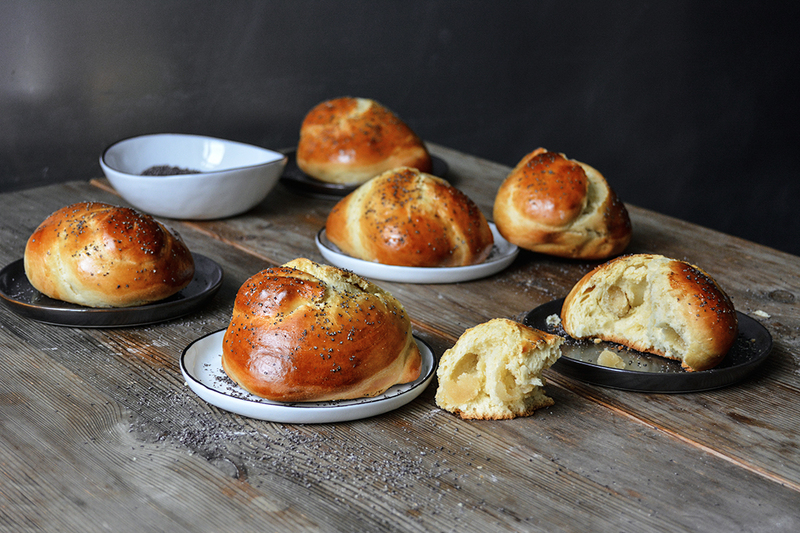 Glaze the challah knots with egg whash a second time then sprinkle with poppy seeds. 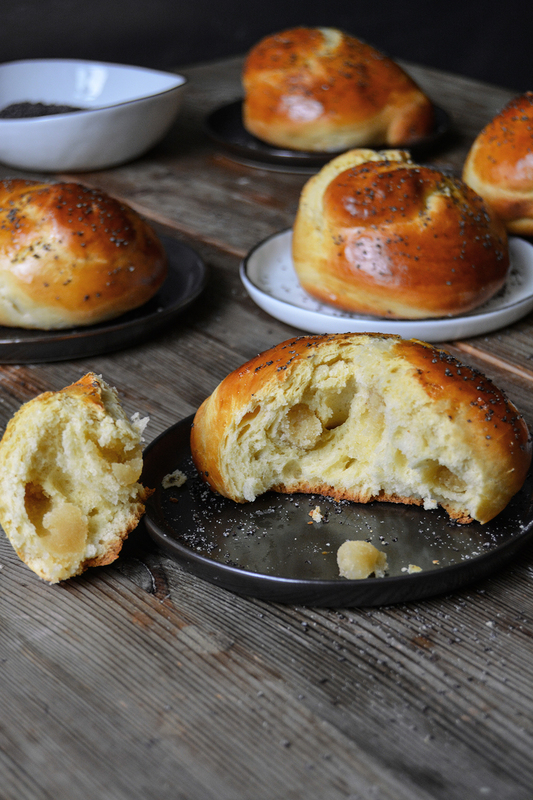 Bake for about 20 minutes or until the challah knots are golden brown and shiny.